check out this image! 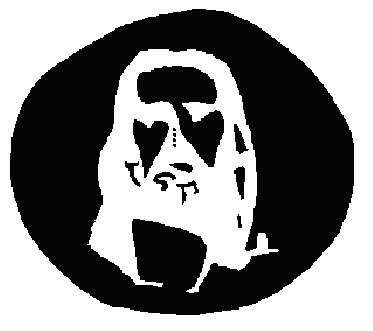 look at the dot in the middle, and when it changes to balck and white you will se the colors on the walls. look again, at the lower corner or such, and it goes directly to black and white. really cool! people who are photo senstitive are warned, this photo switched colors very rapidly, at 1 point. for 1 strobe. Warn people of what you may post here.. Very cool topic. Let me post mine.Stare at this image for at least 1 minute and look on a wall or the air. I was doing this one the other day with my best friend. It's actually kinda scary! Hehe! At first I though it was one of those scary pop ups that suddenly cra& you but no,it was a cool yet frightening.